This new major leauge baseball series it out and individual team caps are found reportedly in stores in the towns of the 17 teams in the set. 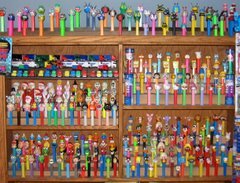 Perhaps the best way to get all 17 is from the PEZ company store on-line. 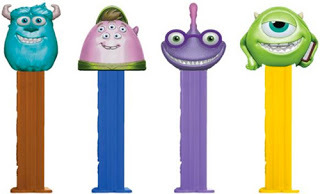 The new Monsters movie from Pixar brings the release of a redesigned Sully and Mike plus new Randall and Squishy.